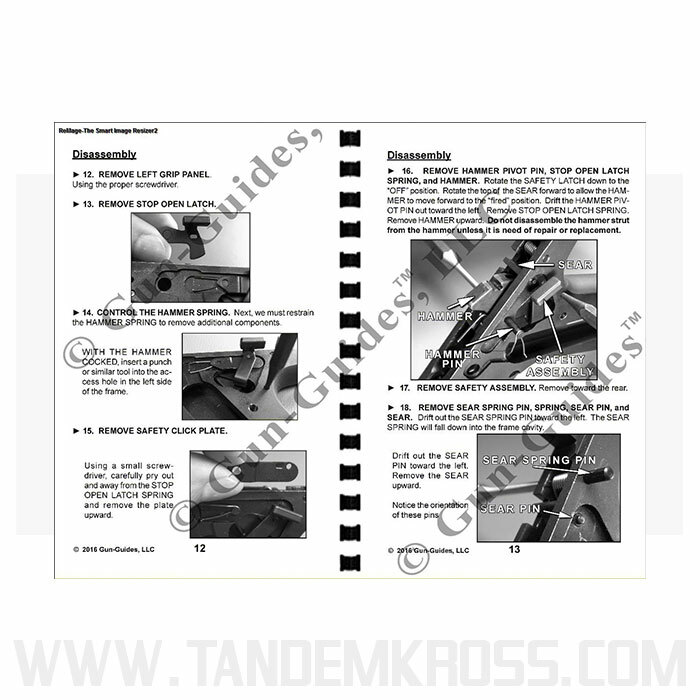 Get the best Browning Buck Mark owner's manual with instructions for Buck Mark disassembly. Don’t waste time trying to figure out the best way to disassemble and reassemble your Browning Buck Mark! With the well-known Gun-Guide® for Browning Buck Mark you can make firearms maintenance and care easy. 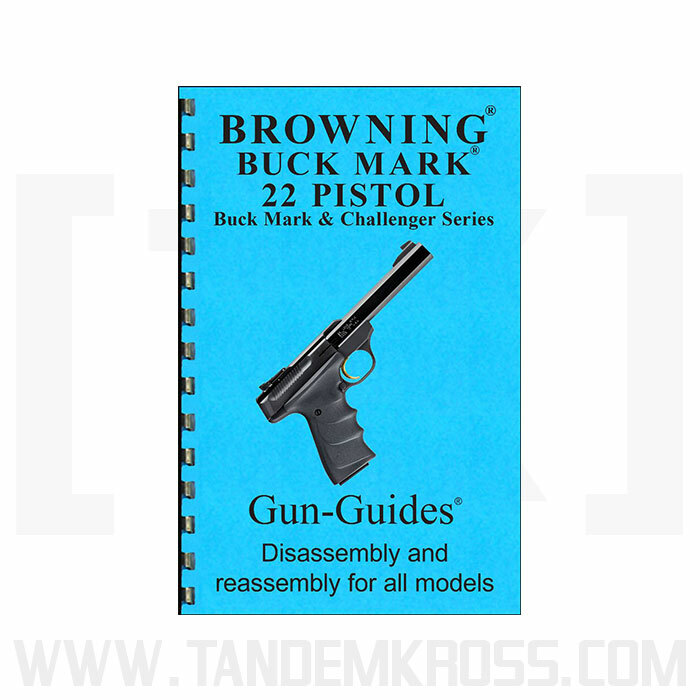 The Browning Buck Mark Gun-Guide® includes 16 pages of disassembly and reassembly instructions with 20+ high-resolution images, and includes specific instructions for Browning Buck Mark and Challenger pistols. The easy-to-use guide features comb binding to lie flat on any work surface - great for reference while working on your gun. 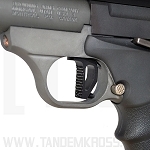 Improve your Browning Buck Mark care, keep your pistol running at its best and make installing Buck Mark upgrades easier with a strong understanding of the inner workings of your firearm. Along with the manual. 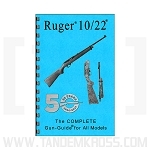 This book has all the features you would need to use with your Buckmark. 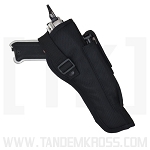 I like that it is designed to lay flat. And, It has many useful illustrations. 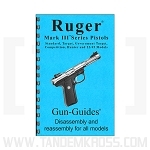 This is a fine Owners manual if you've lost yours or bought a used pistol that didn't have a manual with it.Tells you how to disassemble and assemble with clear instructions. 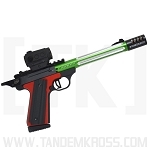 A must have for Buckmark Owners! I have to say that I am somewhat disappointed in this product. 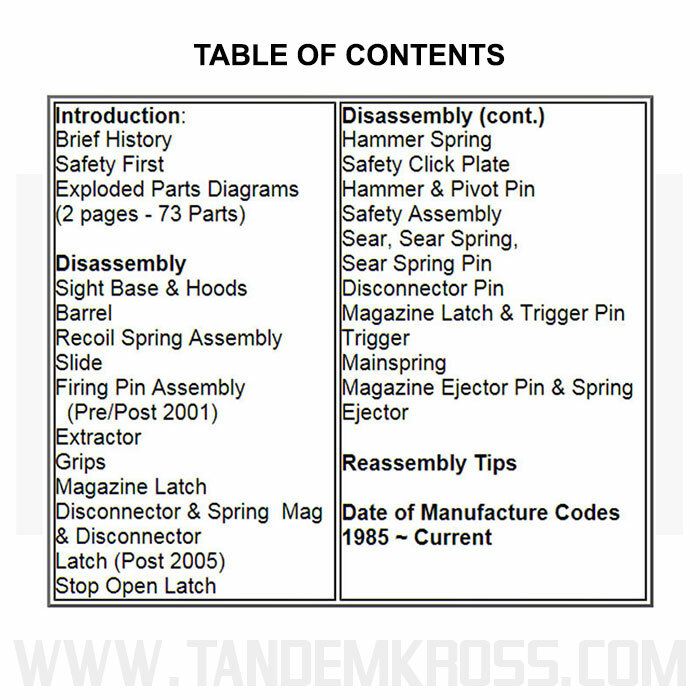 In the product description it says that it’s “complete disassembly and reassembly instructions.” Don’t get me wrong, the “disassembly” instructions are fantastic but the “reassembly” instructions just tell you to do everything in reverse order and offer you a few tips, even though on some of the steps don’t go exactly in reverse order. I found this out the the hard way. I had to watch about a dozen YouTube videos to help me finish the reassembly, instead of referring to the book that I had bought for that purpose. How hard would it be to add a few extra pages for the reassemble? 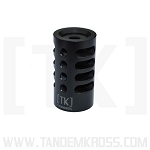 The point of this product was to make disassembly and reassembly easier...it only makes the disassembly easier. I’d still recommend it, but would have probably passed on it, had I known this information.